Welcome to Emerging Artists Spotlight, a new Streets Talkin series where we highlight a musician who has recently made his or her debut on the Emerging Artists chart. Whether they are new to the industry, or have been around for a while but are just starting to have a chart impact, the intention is to showcase where they are here and now. This week’s pick is singer-songwriter and actress Kiana Ledé, who debuted at No. 49 on the chart dated March 23. You might know Kiana Ledé as Zoe Vaughn on the MTV horror series Scream, but the multitalent is making waves in other arenas, too. Ledé's buttery vocals are gaining attention thanks to her breakout song “Ex,” which also hits a new peak on the Hot R&B Songs chart this week. 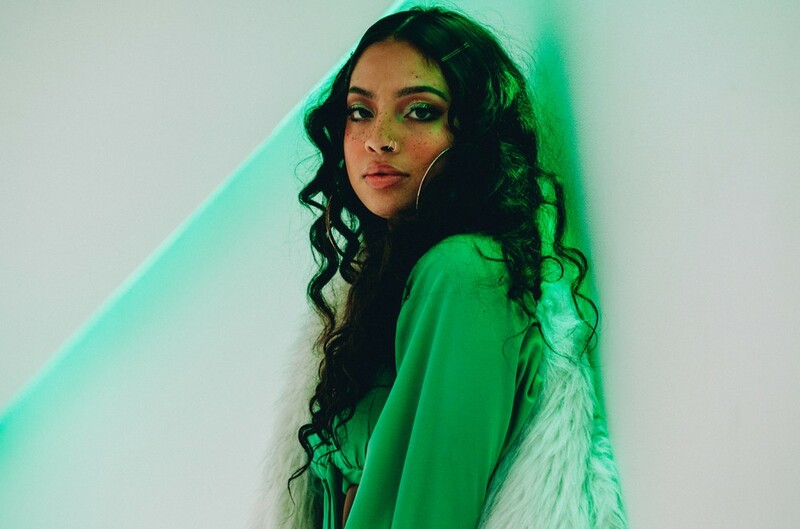 The rising R&B singer describes her music as honest and personal, noting that she’ll often write songs that reflect what her life is like at a specific juncture. “I like to think that my music is vulnerable and inviting, and that others can relate to it or pinpoint a moment in their lives where they felt the same,” she says. “Ex,” for example, grapples with the conundrum of how to stay in touch with someone after a breakup — of not wanting to lose a friend and a lover at the same time. It’s a bruising truth that Ledé has lived. "I wanted to act like it was gonna work, like we could be friends, we could keep talking…but it didn’t really work that way," she has said of relationship that inspired the track. Ledé’s debut EP on Republic Records, Selfless, was released in July 2018 and includes features from A$AP Ferg and Blackway; however, the road wasn’t always easy for the singer, whose first record deal — which she signed at 15 — didn’t work out. Learn more about Ledé below. What’s next: "My debut album [is] coming out really soon! Can’t wait to share that chapter of my life with you all."